Would you like to turn FSBO’s into listings – your listings? If you want to turn FSBO’s into listings, you must first understand why they’ve chosen to offer their homes as FSBO’s. The obvious reason is that they want to save the commission. They have no idea that selling without an agent will likely net them less when all is said and done. Another reason is that they probably have no idea what it takes to successfully market and sell a home. Even if agents tell their clients about the work that goes on behind the scenes, this is work they don’t see being done, so perhaps it doesn’t sink in. The result – they think it will be easy. This is especially true if you’re in a hot market. Some will think all they need to do is pick a price, put up a sign, and the house will be sold next week. You are well aware of what they don’t know, but if you want to turn FSBO’s into listings, you can’t be blunt about letting them know. If you come right out and tell them they don’t know their heads from a hole in the ground, they won’t like you and certainly won’t list with you. You’ll need a more subtle approach. To begin this effort, you have two options: You can knock on the door or you can begin sending letters. This should be a polite inquiry about whether they’re willing to work with / pay buyer agents. If the answer is yes, it’s a good time to ask for a tour of the house and a copy of any flyers they’ve written. Although just looking will give you a good idea, once back at your computer you can do the comps and see if those sellers are being at all realistic in what they’re asking for their house. If it’s too far off, you might not want to pursue it. Meanwhile, if you want to turn FSBO’s into listings, go slowly. Don’t push on your first visit or you’re apt to get booted out the door. Instead, tell them you have some helpful information and you’ll be glad to send it to them. If possible, get an email address, but if not, use postal mail. If you have one, you can also offer to send your market report. Then it goes on to list eleven tasks that a homeowner must perform. The first one is to get the house ready, and the letter offers to send them a seller checklist to be sure they don’t miss anything. It also invites the homeowner to call with questions, and it promises to send more detailed information on each of those eleven tasks over the next few weeks. Other introductory letters in the package are for addressing people you’ve spoken with or homeowners who have requested information on selling FSBO from your website. WHY would you offer advice to FSBO’s on your website, when your goal is to turn FSBO’s into listings? Because by the time you’ve finished outlining all the tasks they need to perform, or by the time they try to accomplish those tasks, they’re going to want you take over the job. When you knock on the door or are invited to tour the home, be alert to conflict between the spouses/partners. As our Active Rain friend Scott Godzyk often mentions, it’s common for one spouse to insist on going FSBO while the other sees the value in listing. Your gentle reminders about all the work the sellers must do can be a reinforcement for the spouse who wants to list and let you take the work off their hands. Don’t be afraid of giving away information. Some agents think they’ll never turn FSBO’s into listings if they tell people what they need to do. But the opposite is true. …they’ll be starting to think about needing help. After you add cautions about letting unaccompanied strangers into their home and being careful not to give away their negotiating position when talking with potential buyers, they’ll see the value in having an agent (YOU) as a buffer between them and the public. If you want to turn FSBO’s into listings, you will need to be persistent. 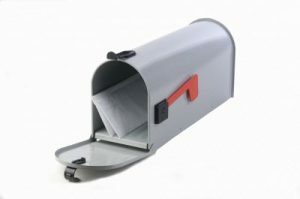 Sending just one letter or knocking on the door just one time is likely to be a waste of time and money. You’re not apt to turn FSBO’s into listings with that plan. However, If the sellers you’ve targeted are already wondering if FSBO is the right choice, a couple of touches just might do the trick. Use my For Sale by Owner letters or write your own. If you enjoy writing and have the time, you probably should write your own. Just remember to tread softly. You’re dealing with homeowners who have already made a decision, so give them information without ever hinting that their decision was “wrong.” No one likes to be shown that they’re wrong. 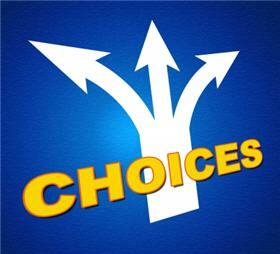 Some of your web visitors may not yet have made the decision. If you love to write, please do feel free to use that list as the basis for your own letters. 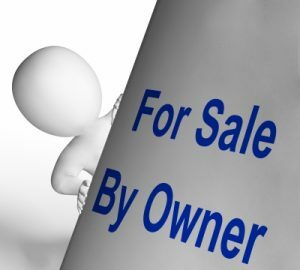 Remember – with a few exceptions – FSBO sellers really do want to sell. Approaching them is not the same as sending prospecting letters to a neighborhood or a group of people in a niche you’ve chosen. Most of them need you and will welcome you, as long as you remain persistent without pushiness.